Brett's Kuranda Half day Tour featuring Palm Cove Stop Over. Their first stop is to the multi award winning Skyrail Rainforest Cableway. Enjoy a journey to Kuranda over some of the oldest rainforest on earth. On arrival in Kuranda they'll be there to meet and show you around this, 'Village in the rainforest' famous for its colourful arts and crafts markets. After approximately two hours in Kuranda it's time for a trip to Cairns on one of the most spectacular rail journeys in Australia. Leaving Port Douglas at 11am means you can enjoy a quiet morning, a walk on the beach and a lie in before they pick you up and with a maximum of only 12 guests you are guaranteed personal service. After the trip on Skyrail and the Scenic train, head up the coast to stunning Palm Cove. They will show you along the palm fringed Esplanade before leaving you to enjoy a 'Kuranda Raintrees Delight' cocktail overlooking the beautiful beach, before returning to Port Douglas at dusk and the end of your afternoon together. Small personalised tours specialising in great service. Maximum 12 guests, interesting, entertaining commentary, just bring a sense of humour with you! Brett's Kuranda Half Day Tours leave Port Douglas daily at 11am. Travel on the multi award winning Skyrail Rainforest Cableway, enjoy free time in Kuranda and return on the Kuranda Scenic Rail, before heading home via beautiful Palm Cove for cocktails! Brett's Kuranda Full Day Tours leave Port Douglas daily at 8.30am. Journey aboard the Kuranda Scenic Railway, free time in Kuranda and return on the multi award winning Skyrail Rainforest Cableway before heading home via beautiful Palm Cove for afternoon tea. Kuranda Budget Tour leaves Port Douglas daily at 11am or 8.30am. 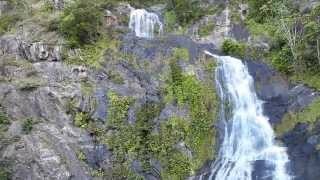 Travel to and from Kuranda village with Brett in the bus! Three hours in the village then head home via Palm Cove. *cocktails and afternoon tea at own expense. Brett would like to tell you about his delicious and fantastic Food and Wine tasting adventure showcasing the spectacular Atherton Tablelands. 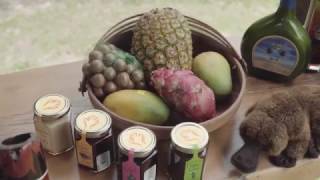 A Foodie tour from Port Douglas you will thoroughly enjoy and remember. Sit back and relax , take in the beautiful views as they take you on a fascinating and tasty journey through another gem of Far North Queensland. Dinner and show experience - Night Fire at Tjapukai Aboriginal Cultural Park. Journey into the dreamtime for an unforgettable evening of delicious food and world-class entertainment. Take part in a welcome ceremony with drinks and canape’ and share in the celebration of authentic music, chanting and dance, as the world famous Tjapukai performers take to the rainforest stage, followed by a spectacular Fire making corroboree. Enjoy a delicious hot and cold buffet including seafood. The night culminates with an intimate chat with the performers by the fire and the chance to take photos. 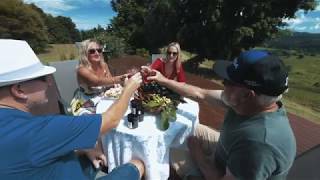 Brett would like to tell you about his delicious and fantastic Food and Wine tasting adventure showcasing the spectacular Atherton Tablelands. A Foodie tour from Cairns you will thoroughly enjoy and remember.